A GPS vehicle tracking system from GPS Tracking Canada with fleet route optimization improves customer service, improves employee productivity, saves on fuel costs and may even delay a new vehicle purchase. Fleet route optimization is essential for your business productivity, optimizing both your work flow and planning. A GPS Fleet Management solution from GPS Tracking Canada optimizes resource planning for static routing, work sequencing, dynamic routing and periodic updating of fleet management tracking information. Improved routing means more than simply mapping a vehicle from one location to another. Two of the most important benefits of fleet route optimization are efficient fuel consumption, resulting in reduced fuel costs, and improved customer service. Static routing and work scheduling systems help service, repair and delivery companies organize their day and plan their drives to a pre-planned set of jobs, deliveries and work orders. The routes can feed into a dispatch system or application that matches the drivers and their vehicles to the appropriate stops for the day. Often times, these “milk runs” are the same routes and stops on designated days. 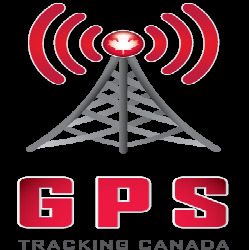 GPS Fleet Tracking from GPS Tracking Canada provides location, mapping and vehicle data that makes static routing easy to plan and optimize. Fleet route optimization solutions can be easily integrated in your business to help fleet operators interact with their drivers. Fleet route optimization provides far more functionality and information than mobile phone or call in updates that can be dangerous and incomplete. For those service and delivery fleets that need to determine the best way to deliver goods and complete work orders, fleet route optimization is a another way that a GPS fleet tracking system delivers a measurable return on investment. Contact a GPS Tracking Canada sales specialist today to learn more about fleet tracking and route optimization services and solutions.